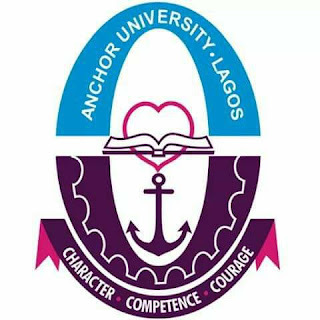 Anchor University, Lagos [AUL] Non-Teaching Staff Massive Job Vacancies and Recruitment for the Vacant Positions of Registrar, Physical Planning and Works, Information and Communication Technology e.t.c [Internal and External Advertisement] February, 2019. Prospective candidates should possess a good first degree from a recognised University with a minimum of 2nd Class Lower Division plus NYSC Discharge Certificate or Evidence of Exemption. Candidates must have at least ten (10) years post NYSC cognate experience in a recognised University or comparable institution of higher learning. Prospective candidates should possess Bachelor of Science degree in Architecture from a recognised institution with a minimum of 2nd Class Lower Division plus NYSC Discharge Certificate or Evidence of Exemption. In addition, candidates must have a minimum of 3 years Architecture experience and must be registrable with the Nigerian Institute of Architects (NIA) & the Architecture Regulation Council of Nigeria (ARCON). Possession of Master of Science degree in Architecture from a recognised institution will be an added advantage. Prospective candidates should possess Bachelor of Science degree in Quantity Surveying from a recognised institution with a minimum of 2nd Class Lower Division plus NYSC Discharge Certificate or Evidence of Exemption. In addition, candidates must be registrable with the Nigerian Institute of Quantity Surveyors (NIQS) & the Quantity Surveying Regulation Board of Nigeria (QSRBN). Prospective candidates should possess SSCE/NECO/WASC/GCE O/L Certificate with five (5) passes including English Language and Mathematics Plus Class ‘E’ Driving Licence and Trade Test I ((Driver’s/Motor Vehicle Mechanic’s Work). A minimum of 3 years driving experience is compulsory. Prospective candidates should possess Bachelor of Science degree in Computer Science, Computer Engineering or relevant discipline from a recognised institution with a minimum of 2nd Class Lower Division plus NYSC Discharge Certificate or Evidence of Exemption. Candidates must be duly registered with Computer Professionals Registration Council of Nigeria (CPN) and are expected to have good knowledge of Laravel, Php, Ajax, Bootstrap, Python, C Sharp and UML diagrams. In addition, candidates must have a minimum of 10 years professional experience in a comparable institution. Prospective candidates should possess Bachelor of Science degree in Computer Science, Computer Engineering or relevant discipline from a recognised institution with a minimum of 2nd Class Lower Division plus NYSC Discharge Certificate or Evidence of Exemption. Candidates are expected to have good knowledge of MySQL, Ajax, Bootstrap, Java Scrip, J Query, Wordpress and Social Media Marketing. Prospective candidates should possess Higher National Diploma in Computer Science, Computer Engineering or relevant discipline with a minimum of Lower Credit from a recognised institution plus NYSC Discharge Certificate or Evidence of Exemption. Candidates are expected to have good understanding in Fibre and Structured Networking, VLan, Mikrotik Routers and Linux Server. Prospective candidates should possess HND/B.Sc/B.Eng. in Computer Engineering or relevant discipline from a recognised institution with a minimum of Lower Credit/2nd Class Lower Division plus NYSC Discharge Certificate or Evidence of Exemption. Candidates are expected to be knowledgeable in the maintenance/repair of computers, printers, monitors, Access Points, etc. Prospective candidates should possess National Diploma with a minimum of Lower Credit in any of the Agricultural Sciences from a recognised institution with a minimum of 3 years hands-on working experience in farming. Candidates must have 5 credits in SSCE/NECO/WASC/GCE O/Level with English language and Mathematics being compulsory. Prospective candidates should possess National Diploma in Pharm Tech with a minimum of Lower Credit from a recognised institution. Candidates must have 5 credits in SSCE/NECO/WASC/GCE O/Level with English Language and Mathematics being compulsory. In addition, candidates must be duly registered with the Pharmacist Council of Nigeria (PCN) and have current practicing License with cognate working experience.. Prospective candidates should possess B.Sc. in Physical & Health Education or related discipline from a recognised institution with a minimum of 2nd Class Lower Division plus NYSC Discharge Certificate or Evidence of Exemption. Prospective candidates should possess 5 credits in SSCE/NECO/WASC/GCE O/Level with English Language and Mathematics being compulsory. In addition, candidates must be knowledgeable in the maintenance of lawns, fields and grounds as well as marking playing fields. Recommendation letter from candidate’s Pastor is compulsory. All interested applicants are expected to Apply not later than Monday, 4th March, 2019. Only Online application will be attended to.